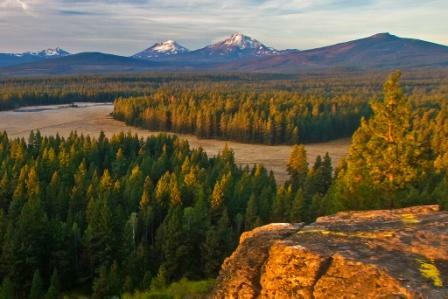 We're your neighbors in the Sisters area who believe that the paradise around us has been preserved as a direct result of Oregon’s land use planning laws. And that it's thanks to Oregon's smart planning policies that we enjoy the landscapes and quality of life that are drawing new people and businesses here. Like you, we care about what happens with Sisters land and water. Since 2013, we've been taking action locally and in Salem to protect some of what makes this a spectacular place to live. Oregon Land and Water Alliance advocates for protection of land use laws and sustainable water policy. OLAWA actively monitors, analyzes, and raises awareness of issues affecting residents and visitors in Sisters Country. OLAWA is rallying behind the longstanding land use laws and water policies that keep our state from becoming like everywhere else. We're a nonprofit with the aim of helping more people understand what possible rule changes will mean for where we live. Stay tuned. Towns in the towns. Farming on the farms. Forests in the forests.